Before you can accomplish this task, you must be familiar with entering and editing data into a Microsoft Excel Workbook. You must also be able to format data in a cell and use Excel to produce a chart or graph. - I need help entering data in an Excel worksheet. - I need help editing and formatting data in an Excel worksheet. - I need help making a chart in an Excel worksheet. If you do not need assistance with either of those skills, you are ready to get on with your task. Survey classmates on some favorite: candy, cola, TV show or ice cream. One or more worksheets accompanied by at least one graph analyzing a set of data, and supporting a prediction. M & M Spreadsheet (Note: This is a spreadsheet to download. 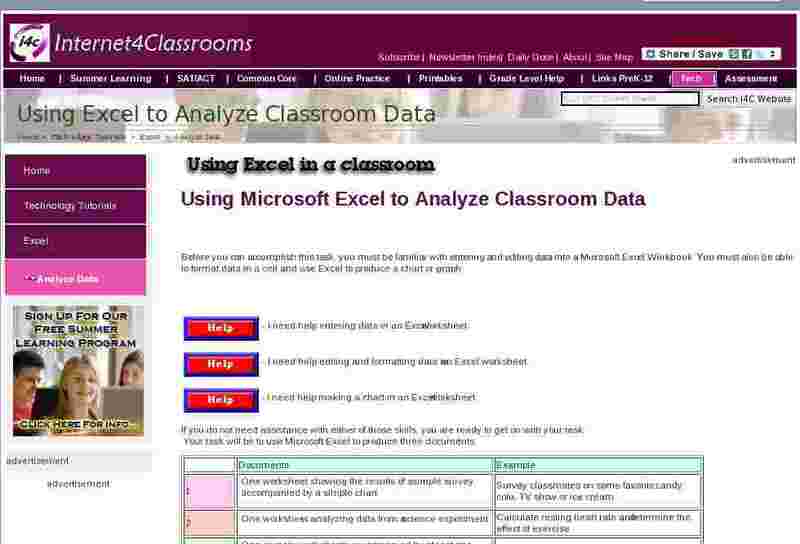 Each successive worksheet in this Excel Workbook acts ad a tutorial in constructing your own worksheet.